On our Tajikistan: Panjakent and Fann Mountains you will be welcomed to the “Roof of the World!” Northern and southern Tajikistan is separated by the Fann Mountains, a huge spur that juts west from the high and remote Pamir Range. Accessible from either Samarkand or Dushanbe, the area offers an ideal opportunity for hiking or experiencing the culture and traditions of rural Tajik mountain dwellers. Learn about traditional Tajik cooking made with fresh local ingredients. Travelers will receive a warm welcome in neat, comfortable guesthouses. Our tour offers some of the most beautiful scenery in Tajikistan: the legendary Iskandarkul Lake area, named for Alexander the Great, and the passes and lake systems of the Fann Mountains. The tour begins and ends with the opportunity to visit some of Tajikistan’s finest cultural and historical treasures in the cities of Dushanbe, Penjikent, Istarafshan, and Khujand. The itinerary can be altered or shortened to suit needs of the traveler while offering a unique opportunity to visit a country once off limits until recently by a restrictive government visa system. The warm welcome visitors will receive is certain to be a highlight of their visit to the Zerafshan Valley. 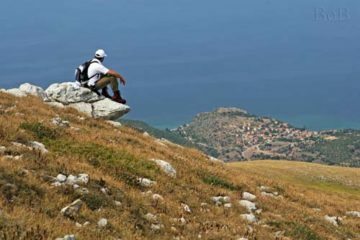 This tour operates with a minimum of 4 travelers and a maximum of 10 travelers. Prices for fewer number of travelers on request. Arrival at Dushanbe airport, where you will be met and assisted to your hotel. 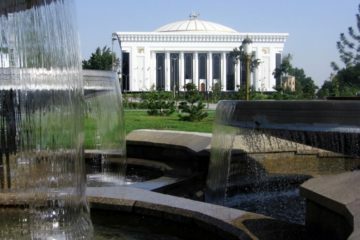 Return to Dushanbe to visit the Museum of National Antiquities with exhibits primarily from Tajikistan’s pre-Islamic civilizations: the Greek, Bactrian, Buddhist, Hindu, and Zoroastrian periods. There is statue of Alexander the Great and wall paintings from ancient Penjikent. The most notable piece in the museum is the enormous, fifteen-hundred-year-old reclining Buddha, which is the largest in existence. Considering that Tajikistan has been so disadvantaged by poverty and politics, the museum is a testament to the people’s desire to catch up with the rest of the world. The rest of the day is free before returning to your hotel. 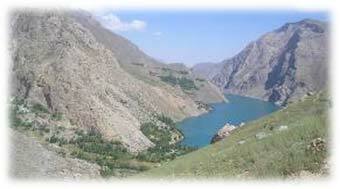 Drive to Iskandarkul Lake (125 km) along the Varzob Gorge, and across Anzob Pass (3,373 m). Iskandarkul Lake is named after Alexander the Great. It is one of the most beautiful mountain lakes in Central Asia, surrounded by the peaks of Chimtarga, Hazormech, Sarima, and Gazni. Alexander’s armies passed this way on their trek in the area. There will be time for a short walk to see a 30m-high waterfall. Accommodation in cottages. Depart from Iskandar Kul to Penjakent (120 km). Panjakent was rediscovered in the mid twentieth century and is still an active archaeological site. Visit the excavation site of the ancient Sogdian city from the 5th to 7th centuries. Sogdians were important traders on the Silk Road trade routes and are thought to have been Iranian in origin. Panjakent is often referred to as the “Pompeii of Central Asia.” Visit the Panjakent Museum. Then continue to the ancient settlement of Sarazm, which is said to have existed 3400- 2000 B.C. Numerous homes, religious buildings, and palaces have been excavated in Sarazm. Many articles made of copper, bronze, lead, silver, and gold, as well as weaponry and ornaments of the 4th to 2nd millennium B.C., have been found in the site. Accommodation in a hotel. Not far from Panjakent (65 km) are the Marguzor Lakes or the “Seven Beauties” (Nezhigon, Soya, Gushor, Nofin, Khurdak, Marguzor and Hazorchashma). They are situated in the Fann Mountains in the southwest branches of the Zarafshon Range. The difference between the upper and lower lakes is 692m. Some of the lakes are a green grey and translucent, and the setting is quite dramatic. All the lakes except for Hazorchashma were formed by the creation of dams. Free time for trekking. Drive to Artouch to cottages for overnight. Depart from Artouch for Aini (180km) located in northwestern part of the country. Continue to the museum city of Istarafshan across the Shahriston Pass (3370 m). Istarafshan is one of the most ancient trading centers of Central Asia with some of the oldest intact Islamic buildings in Tajikistan. There are many mosques, traditional streets, and several significant madrassa complexes. Visit the blue domed Kok-Gumbaz Mosque; the mausoleum of Bobo Tago, a local aristocrat; the Chor-Gumbaz, and; the complexes of Sari Mazor and Hazrati Shoh. Drive north to Khujand for accommodation for overnight. Khujand, located in the north, is Tajikistan’s second largest city and one of its most ancient, founded about 2300 years ago. During the time of Alexander the Great (approx. 329 B.C. ), Khujand became know as the furthest settlement of his conquest. Commanding the entrance to the Fergana Valley, Khujand became very prosperous and its riches spawned palaces, great mosques, and a citadel, which survived until the Mongol destruction in the early 13th century. According to Greek historians, Alexander founded a fortress on the River Tanais or Yaksart (present day Syr Darya River) which formed a natural border of his empire. Visit the fortress by the Syr Darya River and the Khujand ethnographic museum. In the afternoon visit the Panjshanbe Bazaar and Sheikh Musliddin Madrassa dedicated to a 12th century poet. Depart from Khujand for the Uzbek border (65km).